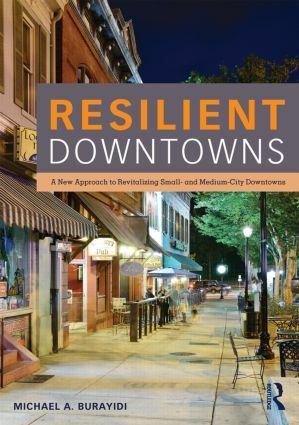 Resilient Downtowns provides a guide to communities in reviving and redeveloping their core districts into resilient, thriving neighborhoods. While the National Main Street program’s four-point approach of organization, promotion, economic restructuring, and design has been standard practice for cities seeking to rejuvenate their downtowns for decades there is disquiet among downtown managers and civic leaders about the versatility of the program. Resilient Downtowns provides communities with the "en-RICHED" approach, a four-step process for downtown development, which focuses on residential development, immigration strategies, civic functionality, heritage tourism, and good design practice. Examples from fourteen small cities across the US show how this process can revitalize downtowns in any city.